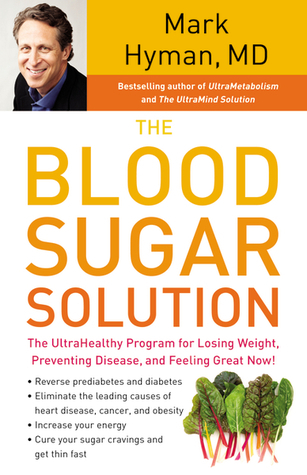 The ultra-healthy program for losing weight, preventing disease and feeling great now. 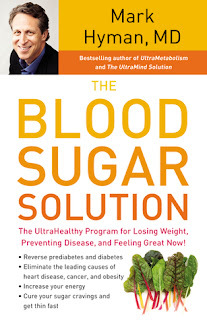 Dr. Hyman’s new book takes a look at Diabesity “a more comprehensive term to describe the continuum from optimal blood sugar balance toward insulin resistance and full blown diabetes”. Diabesity is a globally affecting children through adults and is one of the leading cause in chronic disease today. To effectively get rid of it we need to take back our health. Dr Hyman goes indepth on the myths of diabetes and obesity by looking at our health care system, the foods consumed today, of our sugar levels and how to regulate them. Very detailed responses to the issues that are behind the diabesity epidemic. For someone who wants to know the hows and whys behind the epidemic, the first section of the book will be extremely helpful. Part two begins the 7 steps to treating diabesity by looking at your nutrition, hormones, stress, inflammation, metabolism and more. Fantastic step by step ideas on how to begin treating each of these areas. In Part four Dr. Hyman begins the 6 week action plan, after prepping a week in the previous section. Now this is where you get down to the grass roots and apply what he has been shedding light on in the previous sections. Basically getting rid of any foods that are not natural for your body. Get rid of the refined flours, carbs, sugars especially. Anything artificial or you can’t pronounce on the label, avoid it. I have been slowly working on this exact concept so it was very helpful to find it reinforced in this book! There are recipe ideas and and menu plans in the last section including shopping lists. I am hoping to take some of these ideas and work with them this summer as the fresh produce is abundant around us. I look forward to seeing the results of my own health as I work toward getting rid of my own diabesity problems.